15 Things I Just Wouldn’t Know How To Do Without My Mom! Today, what and who I am, is all because of my mother (and dad too, of course!). She has taught me everything in life, except how to live without her. I guess no daughter in this world will be able to thank her mom enough for all that she has done. But today on Mother’s Day, I would just like to pen down some things, out of the many things, that I wouldn’t know how to do without my mom. When I am angry, I react and say things which I shouldn’t be saying. You, mom, have taught me that words once said, cannot be taken back. You always guide me as to how I should react when I am angry. I am sure there are times you want to react too, but you control yourself - and this is exactly what I’m learning do to from you too. You have told me about how you had to adjust after you got married, how you made extra efforts in your new home with your new family. Today, when I see how important you are to each family member and how you have made your place in the family, I understand that it is important to adjust at times. We often think about ourselves and our own happiness first, but you have always managed to put others before yourself and have even taught me to do the same. If it wasn’t for you, I would have never learnt that others’ happiness is important too - and that at times, it is okay to put your own happiness second if it brings a smile on somebody else’s face. I don’t know how to shop without you - especially when it comes to Indian wear! I wouldn’t have ever known the difference between the cottons and the chiffons and the different types of embroideries. Although right from pampering me and taking me shopping, you have also stopped me when I have over shopped. Without you, I wouldn’t have ever known the balance between these two things. You have seen me fall at various stages of my life, you have seen me go through the hardships of growing up - but you have always taught me to stand up and never let problems get the worst of me. When I am at my weakest, you always make sure that I fight back and never give up. If it wasn’t for you, I would have been a different person today, mom! You allowed me to make mistakes, fall down, stand up again and also learn from them. Even if dad wanted to pamper me and give me everything I wanted, you made sure that I do not just get everything I want served to me on a platter, without even working hard for it. You made sure that I learn how to hear a ‘No’. I howled and cried and fought with you, but today I realise that you taught me all this for my own good. While everyone around me was going on crash diets, it was you who taught me the importance of being healthy. You taught me that being thin does not mean being healthy. You made sure I grow up as a healthy woman. The day I don’t find something in my room, I convince myself that it is lost and that I will never see it again. Until you step into my room and magically find it for me! And there I always stand with a sheepish smile and wonder why I could not see it. Well, I guess that is what you call Super Mom powers! It is normal for us to expect things in return, but from you I have learnt that it is okay to give to others without expecting anything in return. I see you do so much as a daughter, wife, mother, daughter in law and the various other roles you have in life, perfectly. You do them without expecting anything in return. You just have these powers to make and keep everyone happy! 10. Actually be able to cook something! I cannot even begin to imagine entering the kitchen without you. Cooking instructions seem foreign to me and you work as the translator. You exactly know what “room temperature” means and teach me how to follow the vague instructions on the cookbook easily and patiently! You’ve always been there for me each time I have yelled out “MOOOMMMMMMMM!”. You have always been there each time dad wanted to find his wallet and couldn’t. You have always been there each time the cook had complaints. Basically, you have always been there for everyone. Seeing you always being available for your people, makes me also want to be there for the people around me. If I had not seen you doing all this, I would have never known how to support and encourage the people I care about. I would have never known how to decode the symbols on the tag of clothes all by myself! If left to me, I would have put all the clothes together in the washing machine and ruined them all. But thanks to you, I now know what all the different shapes and symbols on the tag mean! It’s always easy to say, ‘forgive and forget’, but you truly follow it. You have been hurt at various stages of your life, you have also gone through a lot - but you have always managed to forgive people and never hold grudges against them. I have also hurt you, said mean things to you and made you cry at times, but you have never held those things against me. Trust me mom, I wouldn’t have known the art of forgiving if it wasn’t for you. From deciding what to wear, to the major decisions of my life, you have been there for me - guiding me as a mother, best friend, a mentor as well as a guardian. Yes, I might be dependent on you, but that is only because you know me the best. You know me like nobody else does, and you also know what is good/bad for me. 15. Be a good human being! And, to all those who are reading this, call your mom, hug her and let her know today and everyday just how special she is! GIFs: Giphy,Tumblr HAVE A STORY IDEA FOR POPxo? If you want to hear about it, we can write about it! Just tell us your idea here! MUST-READ: 8 Gifts To Make Your Mom Smile (And Also Win Her Heart!) 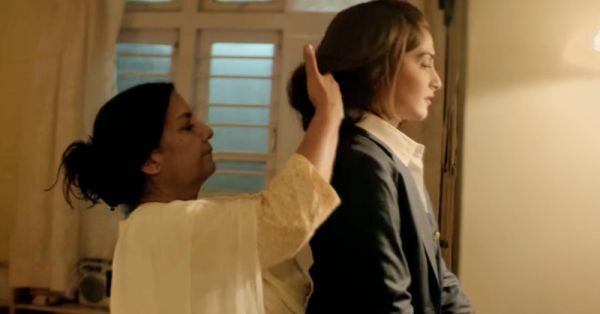 MUST-READ: 13 Things EVERY Indian Mom Loves Saying!